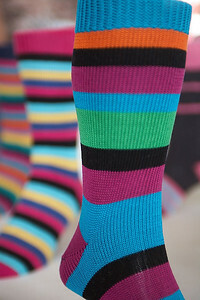 Corgi cashmere socks.They sell for $150 at Barneys in New York. 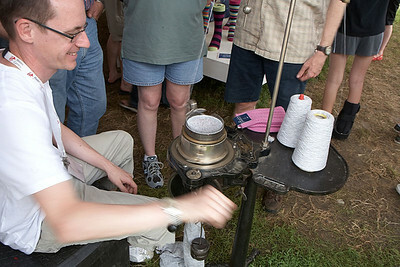 The hand operated sock weaving machine. 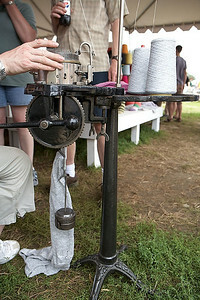 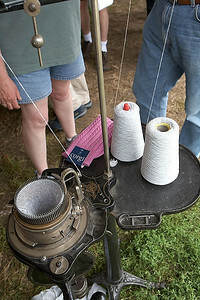 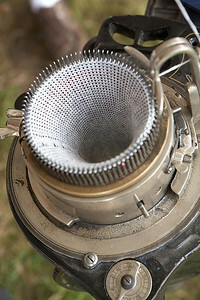 A close up of the hand operated sock weaving machine. 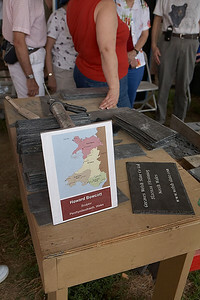 Howard Bowcott building a tower out of slate. 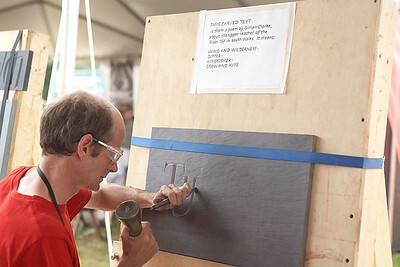 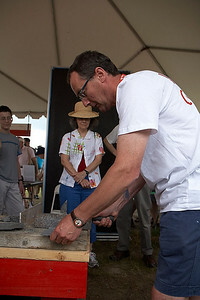 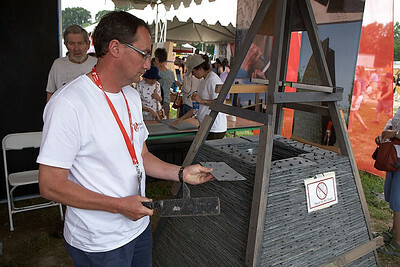 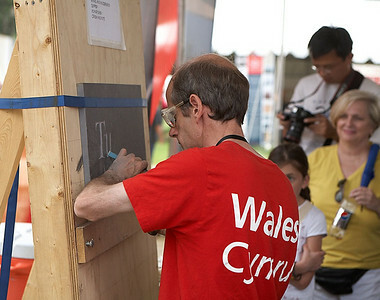 Howard Bowcott cutting the slate to size. 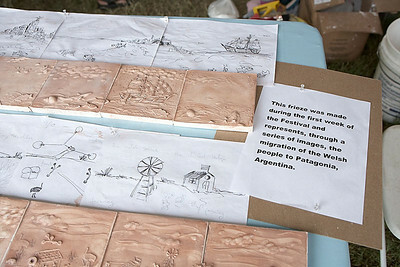 This is tile made of plaster of Paris. 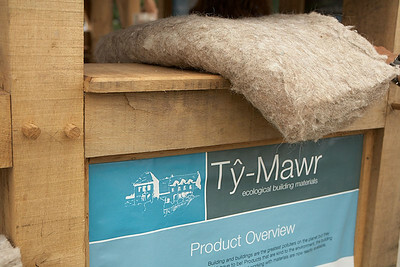 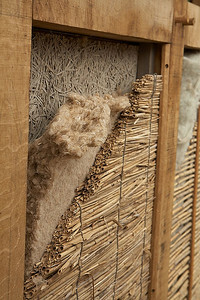 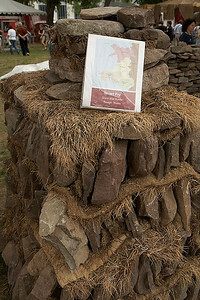 Wool insulation for the walls and roof. 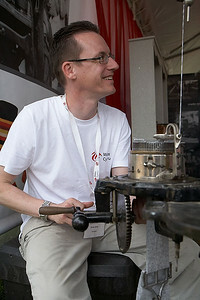 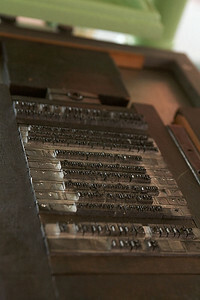 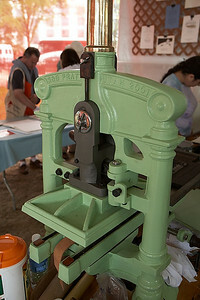 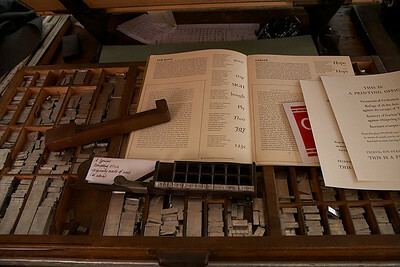 Text set on the press. 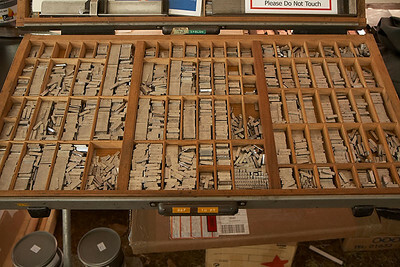 Letters for the printing press. 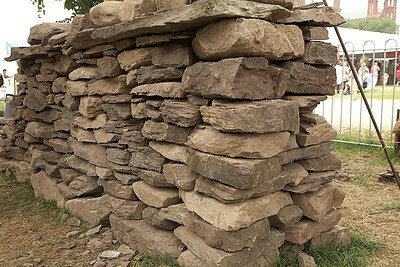 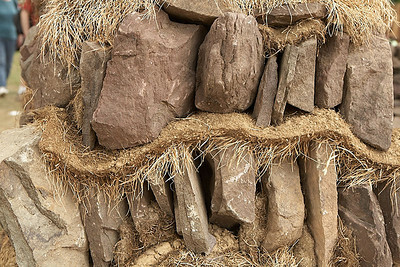 Stone walls by Stuart Fry. 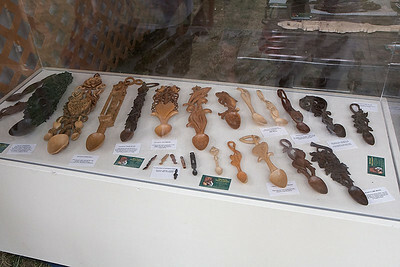 Welsh Lovespoons by Mike Davies. 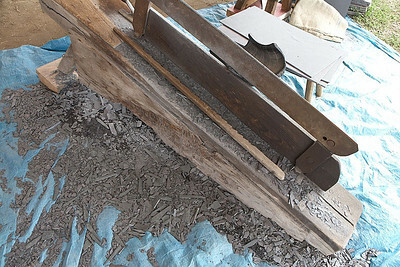 Traditionally used by men to court women. 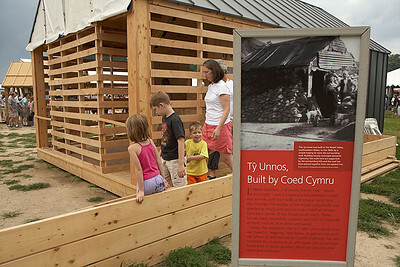 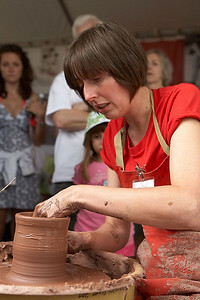 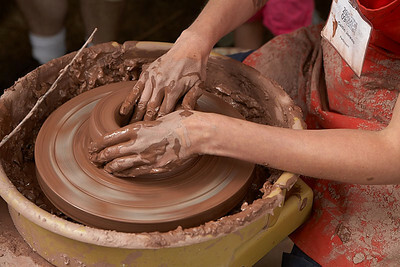 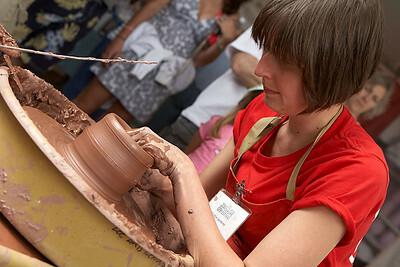 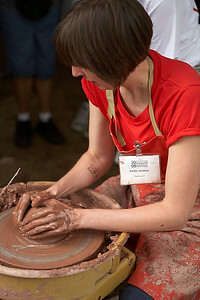 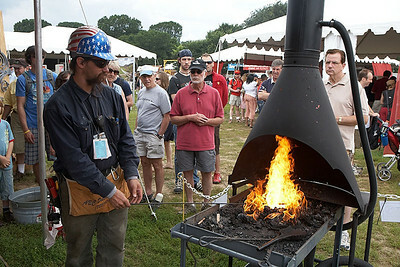 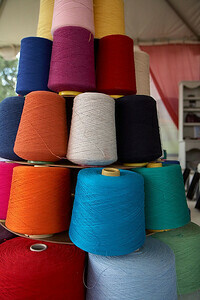 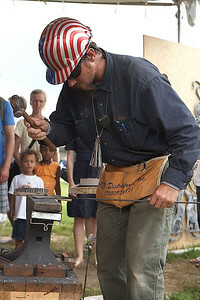 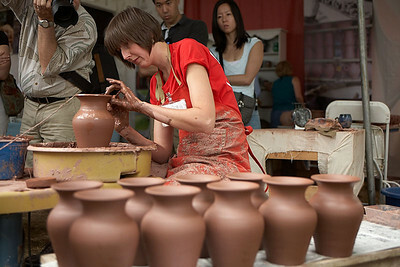 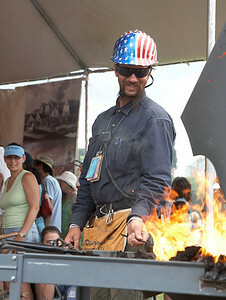 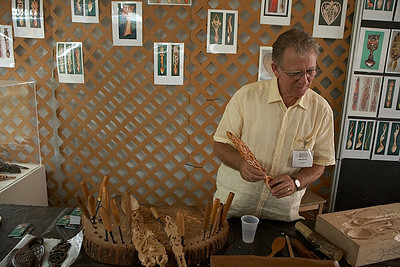 Caitlin Jenkins, an 8th generation artisan. 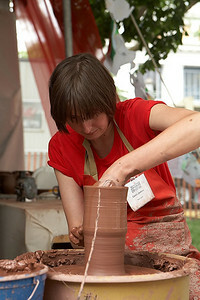 The stick helps her make each piece the same height.